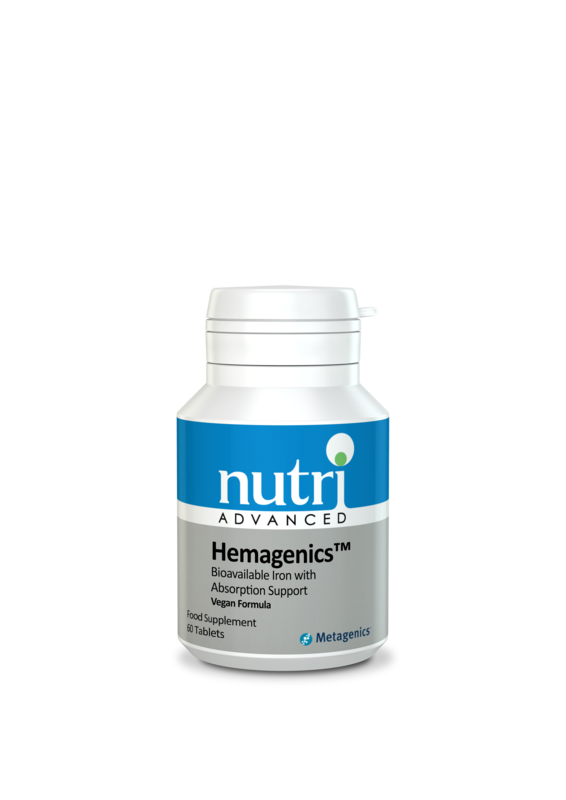 Nutri Advanced Hemagenics™ is a synergistic blend of ingredients that support healthy red blood cells. is a synergistic blend of ingredients that support healthy red blood cells. Features: Iron glycinate provides an advanced mineral delivery system, which is highly absorbable. 1 tablet daily, or as directed.